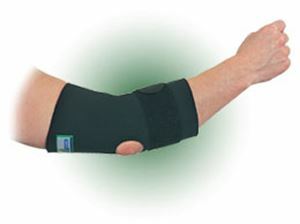 Elbow sleeve with pressure pad is designed by Anatech to help relieve the pain in the elbows. Provides support to elbow joints. Pressure pad can be removed and added whenever needed. Compression straps can be adjusted for a customized fit. Can be usedon right or left elbow. I have been suffering from tendonitis in my right elbow. I was looking for the product that can decrease the pain. Searched on many websites and have already used 2 products which dint help me in any way. Finally found this website and have ordered this. This worked for me. I never knew my elbow pain vanishes.